Lets help Cuckoo to escape the dark witch widow's cooking pot. Lets help Cuckoo escape the dark witch’s cooking pot. Looking forward to Easter/Christmas chicken? 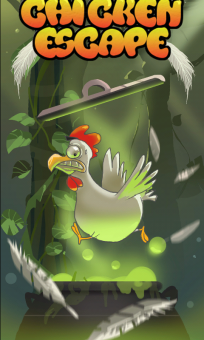 Well lets do something different this time, lets sympathize with the chickens 😉 Lets help Cuckoo to escape the dark witch widow’s cooking pot. 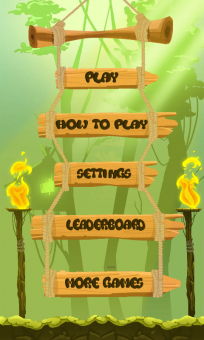 Compete with your friends in this amazing addictive game and lets see how far away you can get Cuckoo from the witch. 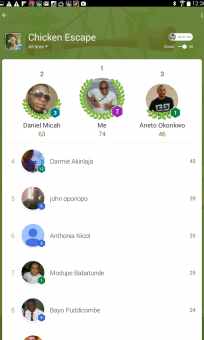 – Global Leaderboard showing worldwide ranking and lets you compare with friends or competitors. – Uses your phone’s gyroscope to enable you play by just tilting up and down. 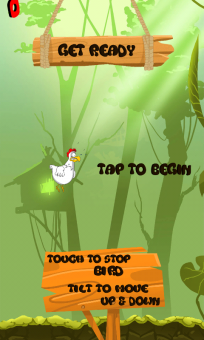 Tilt your device to move the chicken up and down, then touch and hold the screen to stop the chicken from moving forward. Game on! Addictive! 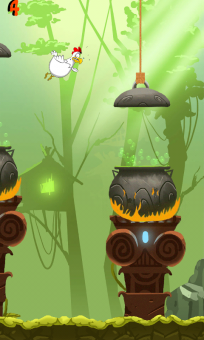 Can’t count how many times I’ve hit the replay button so I can get the helpless chicken to safety :-). Lovely graphics too. Kudos to the team. cool the hitTest events doesn’t work properly. the chicken gets cooked even if i don’t touch the pot.